1. All this talk about thinner grades, some manufacturers are spec’ing thicker grades if you race and/or track your car. The current Corvette is one. GM specs 15W50. And as everyone knows, Ford specs 5W50 for it’s top of the line Mustang. Does Pennzoil plan on coming out with a 50 weight oil to compete with brands like Mobil 1? Pennzoil offers a number of “thicker” grade products, examples being Pennzoil Platinum 5W-50 , Pennzoil Platinum Racing 10W-60 and Pennzoil GT Performance Racing 25W-50. 2. Why isn’t Pennzoil Gold Synthetic blend available in 5W-20? Does Pennzoil plan to make a thinner resource conserving high mileage oil to compete with GTX HM and Maxlife? Maybe Synthetic Blend? Pennzoil Gold/Synthetic Blend is available in both 5W-20 and 0W-20. 3. Lower viscosity oils are generally for the purpose of improving fuel economy. Engine wear and durability do not seem to be an issue with modern 0W-20 viscosity grades and the engines that call for them, but it is still a common question among enthusiasts. Balancing low viscosity/engine wear. My question is whether it would be beneficial to run a 5W-30 for a bit of added protection if one pushes the engine a bit harder than expected, (in a vehicle that calls for a 20 grade)? In a vehicle calling for a 20 grade oil it would naturally be recommended to run a 20 grade oil, however your question raises a good point, is it beneficial to still choose a thicker grade of oil for added protection? Comparing a 20 and 30 grade oil from the same Brand and Tier it is likely they will share a very similar additive package and teat rate and therefore offer the same level of protection derived from the performance additives present in the oil, therefore differences in protection will be due to the higher oil film thickness potentially offered by the difference between a the 20 and 30 grade. Unless you are operating significantly harder than a normal duty cycle it is unlikely you will see any benefit. Significantly harder duty might mean a very high proportion of long idle time followed by sudden high speed accelerations (common in police duty as an example) or a harsh environment with lots of sand and dust (abrasive agents). In summary you’d need to push an engine a lot harder to see a benefit. 4. Switching from a 5W-20 to 0W-20 how much would I save in a 20 mpg vehicle during a 10K OCI. Good question because it is so hard to answer, there are simply many factors at play; examples of significant ones being – your driving style, the engine design in question, the duty cycle, fuel quality. From a monetary point of view of course the price of fuel has to be considered in any calculation and this is a variable in itself! There are numerous industry standard tests, all of which will give you different answers to your question. As a best guesstimate potential saving would lie between 0.1 and 0.5%. Shell offers a range of fuel saving tips to help maximize fuel economy which individual drivers can employ and it would be recommended to try these first until your reach a natural oil change interval, at which point switching to an appropriate fuel economy grade oil will also help. 5. Does Pennzoil plan on using any type of titanium additives? Pennzoil is constantly evaluating new additive technologies that we develop or are offered, as yet we have not seen sufficient end benefit in Titanium additives to consider using them in our products. 6. We have seen that some lighter oils, comparing with others at the same stated weights, exhibit thicker or thinner viscosity than the norm for that weight. What are the sources of the this variability including, but not limited to, manufacturing tolerances? I’ll interpret it to this question to be asking about the viscosity grade windows as specified in SAE J300. Weights , or viscosity grades, as defined in SAE J300 as ranges of viscosity and hence for a given grade or weight there are a range of viscosities, thicker or thinner than the middle point of the grade; this of course being reflected in products in the marketplace. Critical factors driving where a product falls in a weight or grade being the base oil choice, the viscosity modifier choice, the performance additive package. Manufacturing tolerance also play a role but not as large as the ones I have cited. 7. This variability raises issues especially as we transition to lighter weights for if the variability is on the lighter side then sufficient protection will be compromised. How does Pennzoil intend to provide appropriate quality control to see that this does not happen? The SAE J300 grade or weight structure is such that there are multiple properties required to define a grade or weight. Pennzoil checks these properties on each and every batch of Pennzoil manufactured and has put in place blend controls reflecting the tolerances of production, measurement and specification (SAE J300). 8. Further, this variability, if on the heavier side, could be exploited to call a given oil a 20 wt. for instance but in actuality it might be a 25 or 30 wt or ? How will the “bandwidth” of individual grades be policed especially if certification is reached by read-across or via modeled means? AE J300 defines grade (or weight) and is a definitive scale, i.e. it has been designed that such that products can only be quoted against one grade or weight. If properly followed, no the SAE system cannot be exploited as is suggested. At Pennzoil , as per the answer above, we quality check each batch of product rather than rely on read across or models in confirming the SAE grade (or weight ) of our products. 9. Finally, do you foresee that, as the engine manufacturers resort to more complex and effective internal coating processes-surface preparations that your efforts at the lighter weights will indeed be made easier? Could you enlighten us on what processes may be in prospect and what impact it will have on your efforts? Certainly engine manufacturers are increasingly looking at coating engine parts in order to reduce friction (for improved fuel economy) and enhance wear protection (for long term durability). A very common coating which has made its way over from motorsport engines is DLC – Diamond Like Coating – which has both frictional and wear benefits. Another approach is to alter the surface texture on the nanometer scale to aid the oil in supporting a film and hence again improve friction and wear performance. 10. I achieve no worse MPG with Pennzoil Ultra 5W-30 compared to the specified 5W-20 by Chrysler… So what exactly is the supposed benefit of the 5W-20 & 0W-20 viscosity oils? Delighted to hear of your experience. In general a very wide body of data supports the conclusion that lower viscosity oils offer better fuel economy, however as per the answer to (4) for the individual driver the benefits vary due to the many variables at play. 11. What are the differences between 0W-20 and 5W-20 when dealing with an extended drain oil? Oil life or drain interval, is not dictated by SAE grade (or weight), you should observe and experience the same oil drain interval for a 0W-20 as a 5W-20. 12. I would think that the 0W-20 would have more viscosity modifiers that may flash/burn/shear off turning the oil into something more like a 5W-20 in say 5k miles. Is that true or does a 0W-20 typically hold it’s specs in a well running engine over a 10K OCI? All reputable motor oils are required to stay in grade over the OEM specified service interval (oil drain interval) as defined in your owners handbook and there are industry standard tests and oil should meet in order to demonstrate this property. 13. I am old. During my life time 30 and 40 weight motor oils have been the standard during most of it. 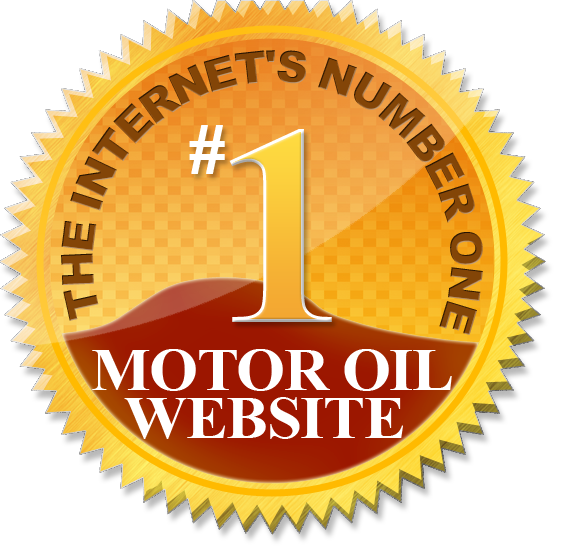 During the last decade or so 20 weight motor oil has become a standard. From what I have read, Corporate Average Fuel Economy reporting has created the 20 weight standard because of less drag on internal engine components. If you had a crystal ball, what is going to be the next standard oil weight? The SAE recently approved the definition of 16 weight oils and the API has introduced them into their licensable specs, you can expect this to be the next “new” standard weight of oil on the market. 14. MPG wise, how much fuel can I really save by using your full synthetic over just Shell conventional? This is a very broad question since you don’t specify whether you’d like to use the same grade or weight of synthetic vs. conventional. In general synthetic oils have been introduced to enable lower weights or grades of motor oils to be used in modern engines. These lower grades or weights enable a number of technologies aimed at delivering fuel economy, so you’re not just talking about the fuel economy of the oil but the fuel economy of the overall engine/vehicle. Looking at readily available figures you’ll see vehicles offering marked improvements in fuel economy over the last decade with this trend set to continue. Many, if not the majority, of vehicles coming onto the road today only recommend the use of synthetic oils for these hardware related reasons. As per previous answers there are also issues of driving style and operating duty to consider in the individual case. Without knowing more background it’s hard to give you a figure but it could be in the region of 2%. 15. I like to use thinner grades of full synthetic to thin out heavier grades of conventional or synthetic motor oils. I’m currently running a blended mix of M1, 15W-50 and M1 0W-20, 3 quarts of each until the cold of winter arrives. Once the cold of winter arrives, I’ll be using 1 Gallon of Shell Rotella T6 and 2 quarts of Formula Shell full synthetic 5W-30 until June. I’ll keep the same M1 extended performance filter on for 2 runs along with a filter magnet attached to the filter. Would running Pennzoil Ultra or Pennzoil Platinum in a 5W-30 be more beneficial year round rather than blended mixes? You’re clearly looking to take a great deal of care of your engine and have thought a lot about your choices of oil. Whilst blending together oils may give you the expected physical properties (e.g. viscosity) the performance of mixtures of performance additive packages is much harder to predict, I’m afraid chemistry is much less predictable than physics! I would recommend using a single product and the two products you suggest would be excellent choices. As another point to consider, running a single brand oil as oppose to mixes will put you in a better position were you to experience an issue and to wish to make a claim under either an OEM or Oil Warranty scheme. 16. I’m interested in making a custom blend for my vehicles. Preferentially starting with Rotella T6 5W-40, as it’s in the family, but wanting something a bit closer to 5W-30. Rotella as it’s in the family, and a strong oil, but if needed, Platinum Euro 5W-40 could be considered as a starting point. I would like to blend it down to a 5W-30 using Platinum 5W-20, so that I will end up with a 5W-30 with a little more anti-wear additive than the typical 5W-30. Are there any problems doing this, and will the results be as I expect them to be? The physical results may be very much as you expect i.e. viscosity is likely to be predictable following well known physical laws however the chemical effects are highly unpredictable. Wear performance is not dictated solely by the amount of wear protecting additives in an oil, the efficacy (effectiveness) of the additives must also be considered. Efficacy can be negatively impacted by changing the balance of a formulation package. The approach you suggest could conceivably result in poorer performance, I would recommend choosing a single tier of product, and Pennzoil Platinum has been designed to offer complete protection including unsurpassed wear performance. 17. The new GM trucks spec 0W-20 oil. How does this thin grade hold up when towing maximum loads? Would thicker be better under these extreme conditions? GM recommends 0W-20 for this engine and has conducted testing to validate performance. Additionally other engine features like cam phasing depend on the proper and validated viscosity to maximize performance. In this case, we recommend to use the oil recommended by the manufacturer. 18. What are the different antiwear additives, or combinations of same, that will be able to withstand the 200,000 psi squeeze-out you mention in the valve train that will not affect catalytic life span or other parameter like deposits? We have seen some transition to titanium. What others, or combinations of others, are possible? This is not meant to require a proprietary data answer. The antiwear technology is of course proprietary, but suffice it to say that the important thing to focus on is the overall performance of the oil. This is done by conducting the engine tests dictated by industry and OEM standards, on our own proprietary testing. Rest assured that every grade of Pennzoil meets the requirements of antiwear, oxidation protection, viscosity shear, required by the stringent industry and OEM tests. 19. With GF-6B (SAE 16) oils having a minimum HSTS of 2.3 this will allow for a thinner protective film. I found this on Lubrizol’s website, “While it is generally accepted that lower viscosity brings an improvement in fuel economy performance, it can have a negative impact on durability; the protective oil film is less robust, or under the most extreme loading conditions, non-existent”. The word “non-existent” is pretty scary in terms of engine longevity. a. In order to protect engines using SAE 16 oil under high load/stress, also with the abrasive soot of GDI, what can you tell us about the additive packs in your new GF-6B oils? b. What new technology will be in the additive packs? c. Will GF-6B be able to meet the same wear requirements of GF-6A (i.e. 0w-20)? d. How will engines be designed differently to successfully use SAE 16 oil? e. Will there be any GF-6B oils that are backwards compatible to GF-5 or GF-6A? f. Will there be more than one Pennzoil viscosity grade with GF-6B other than 0w-16, such as 5w-16 or 10w-16? A. OEMs will already be testing new engine designs at minimum HTHS below 2.3 , you could expect engine designs capable of operating on an HTHS of 2.0 to be under development and testing at the moment. These designs will place more stringent demands on the lubricant to ensure both fuel economy and durability issues are addressed. Shell is actively partnering with OEMs to co-engineer solutions as these technologies come to market. There are numerous technologies OEMs are looking to introduce into engines that might coincide with the period during which 0W-16 oils become prevalent in the market, technologies such as changes in bearing materials and dimensions, changes in valve train design, changes in coatings and texturing of surfaces to name few commonly talked about. The new products being developed will rely both on optimizing the additive and base oil technologies together to address challenges such as GDI soot. Different technical solutions will be developed so it is unlikely there is one single solution we will reflect back on. Soot has been successfully addressed in other lubricant areas through a knowledge of how to handle soot in the oil and how to provide durable protection via the anti-wear film. At the moment the industry strategy is to deliver GF-6B oils that will not be backwards compatible to GF-5 or GF-6A, this is to avoid mis-application of the new GF-6B products.